I have saved the hinged-lids from baby wipe packaging for quite some time now. 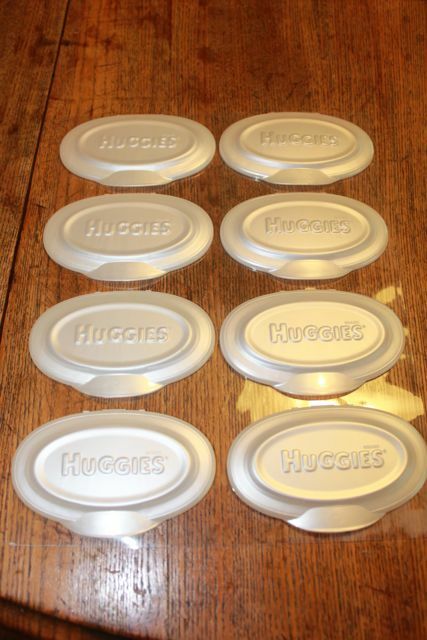 I hoped that someday I could use them to create a toddler busy bag activity. This week, I made a "Lift and Find" matching game for young children to learn their colors and shapes. I am offering the activity sheets for free at the bottom of this page. 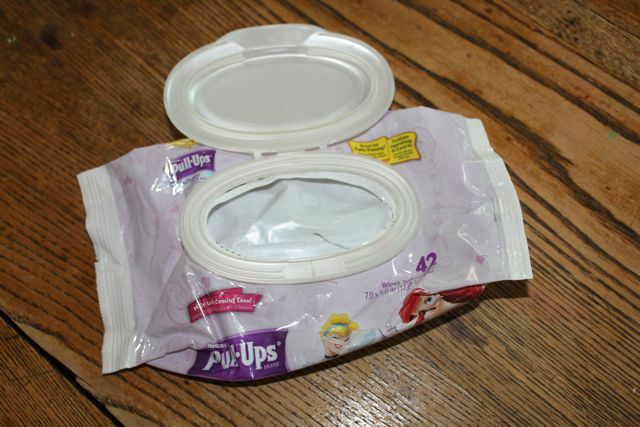 All you need to do is save your lids! 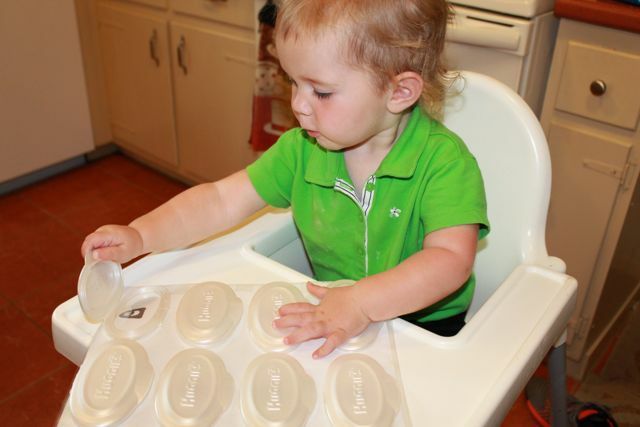 Honestly, I thought this activity was going to be only for my youngest daughter, but my three-year-old son liked it too! Many different brands of toddler and baby wipe packaging have a hinged plastic lid attached to a ring. 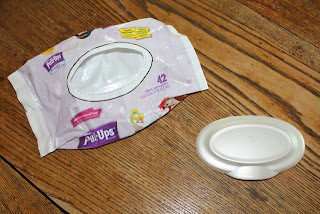 The lid and ring is attached with a sticky goo, but pull hard and the lid and ring will come right off! 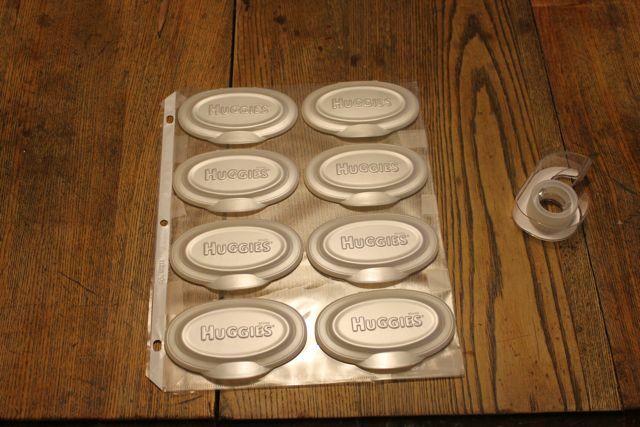 Many of the rings attached to the hinged-lids still had the sticky goo from the packaging while others needed a little glue. I just used Elmer's white glue. 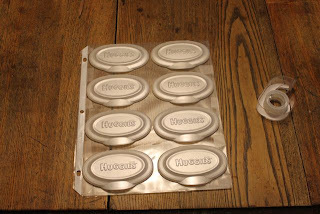 Then, I let the glue dry overnight to make sure they were secure. 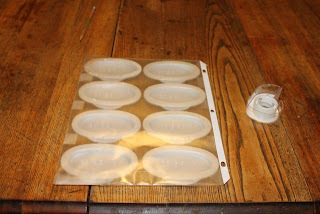 In the morning, I taped a clear sheet protector to the back of the clear plastic. The clear sheet protector will hold the FREE interchangeable-printable sheets available below. Initially, I slipped in a sheet of colored ghosts and just let my daughter explore. She got as excited as she does for lift-the-flap board books. 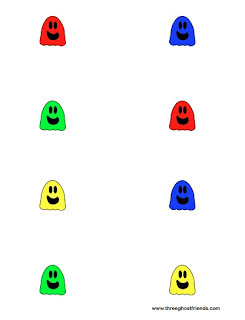 In the FREE printables below is an activity sheet that has ghosts in many colors. This sheet is not a matching activity. 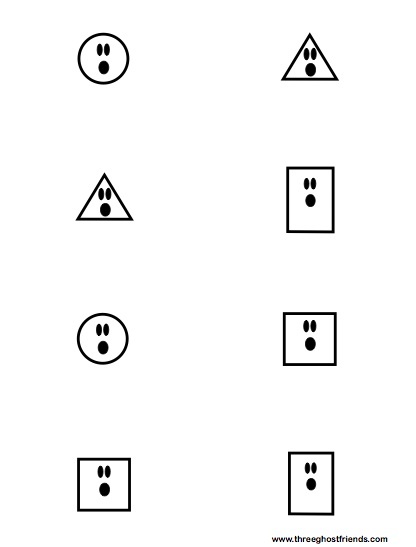 This sheet can be used to create dialog with your child. "What color do you see?" or "Find green." or "Where is orange?" 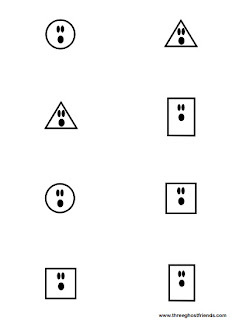 There is a sheet like this for shapes too. My three-year-old son wanted to try the activity too. 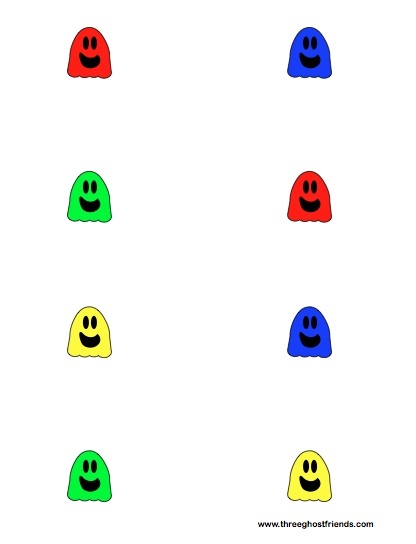 I slipped in an activity sheet that allowed him to find ghosts of matching colors. A match! Two white ghosts! This toddler busy bag activity can be used anywhere -- on a lap, in a car, at the doctor's office, in the high chair before lunch! 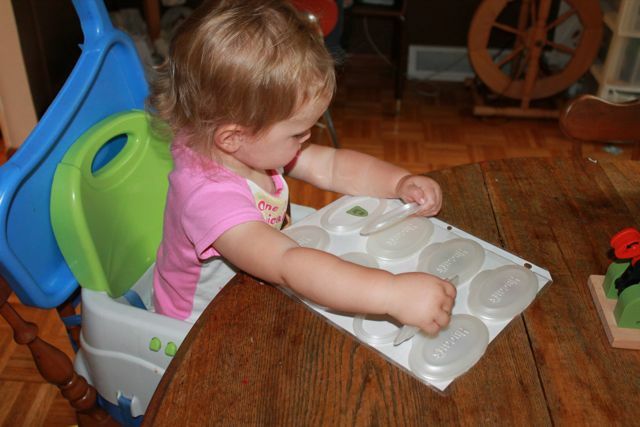 Once you are finished with the activity, store all the activity sheets in the sheet protector! 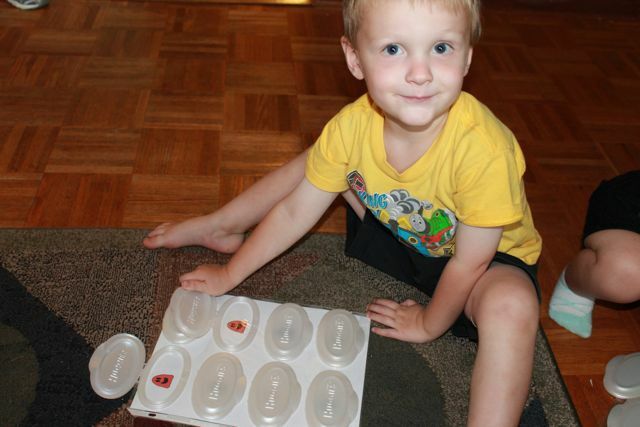 MORE "LIFT AND FIND" PRINTABLES NOW AVAILABLE! 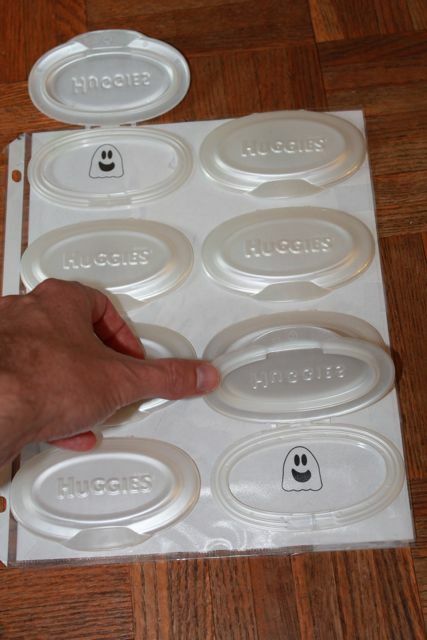 Check out more Three Ghost Friends Toddler Busy Bag Ideas - Click Here! Such an inventive idea! 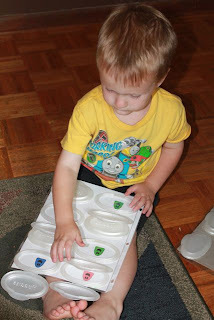 I think I will try a variation in my pre-k class. I have to raid the school for the wipes lids. haha. SO I will pin this to my "secret" board so no one else gets the lids before me! :o) We all follow each other at my school. Gracias, que idea tan estupenda. Yo los utilizo también, pero para juegos de lecto-escritura. Köszönöm szépen, nagyon hasznos fejlesztőket találtam itt, én is készítek majd belőlük. Thank you!